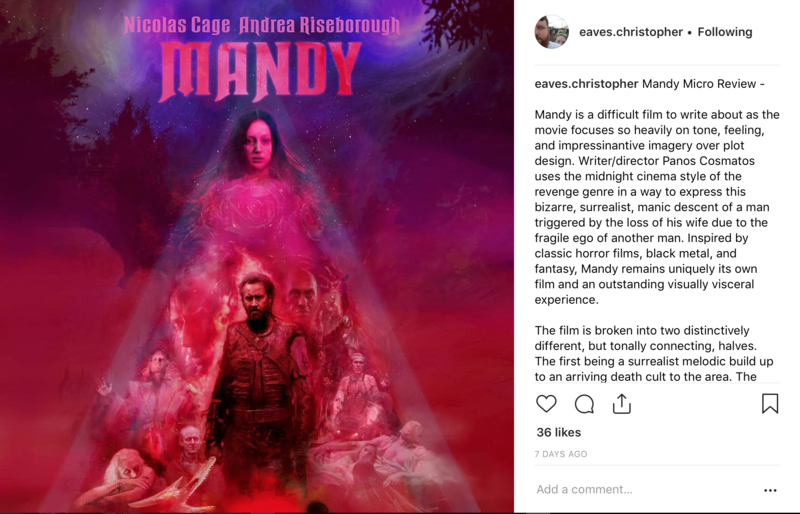 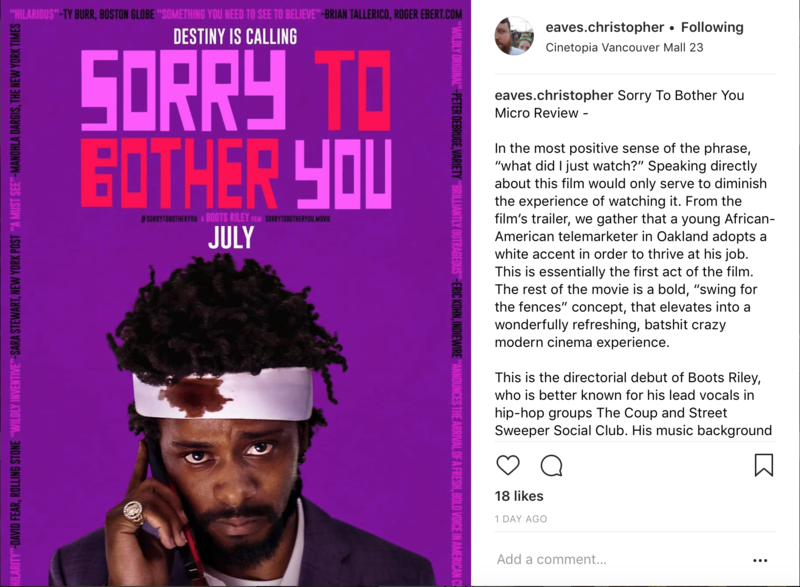 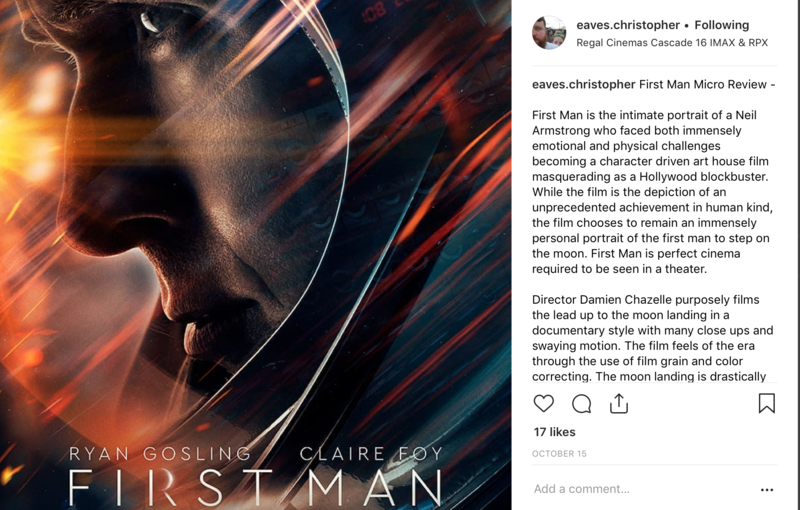 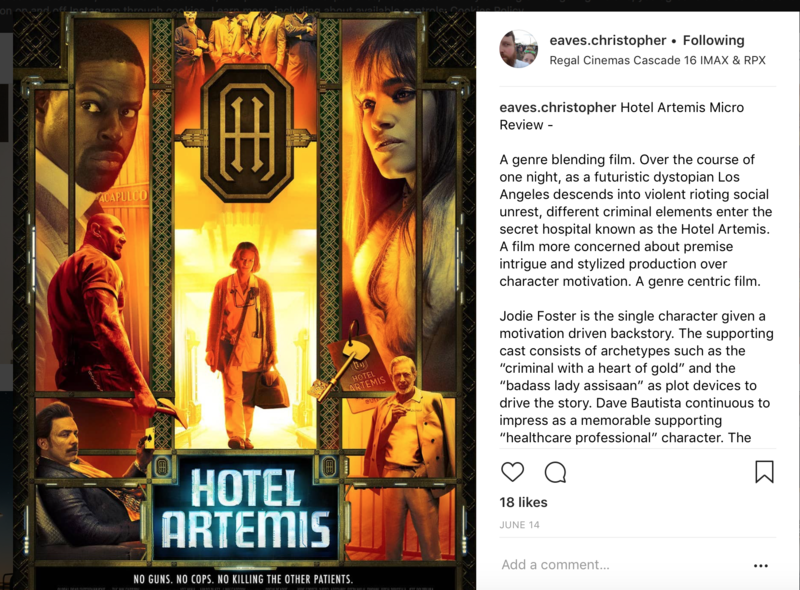 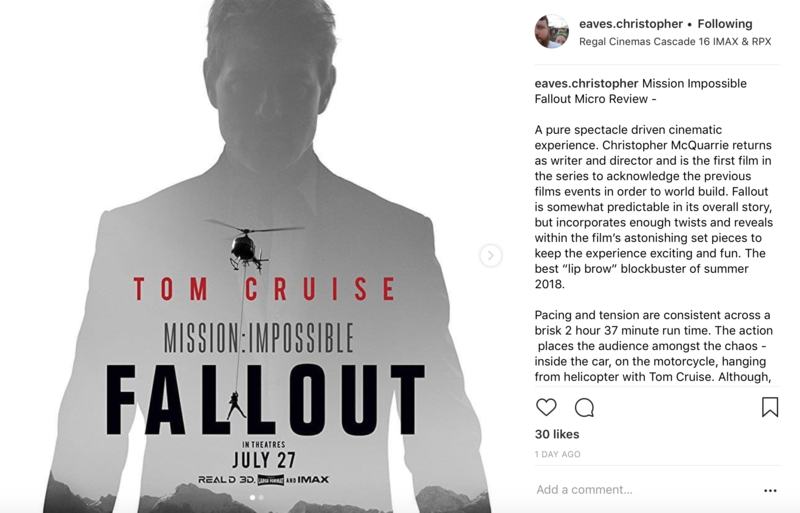 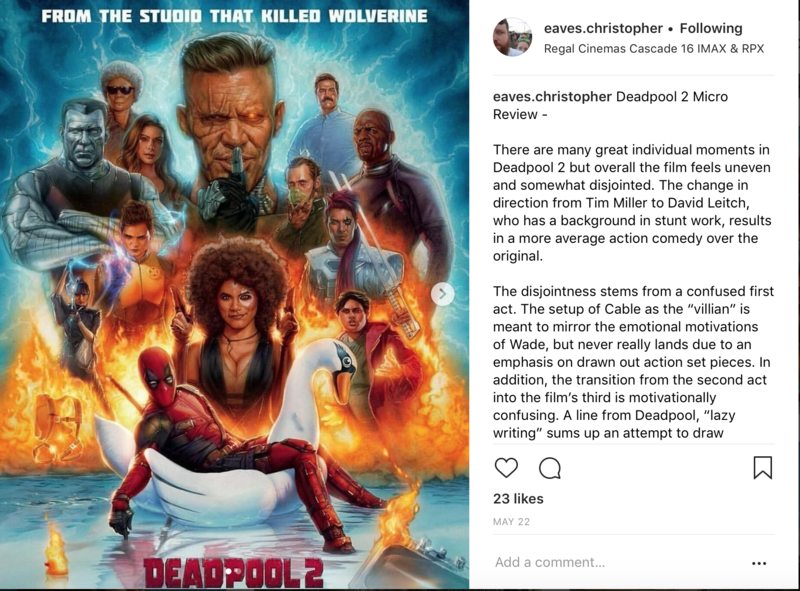 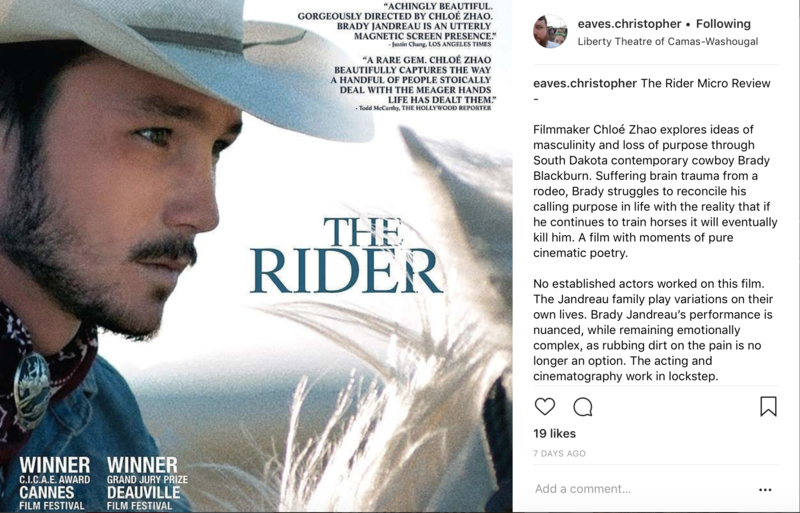 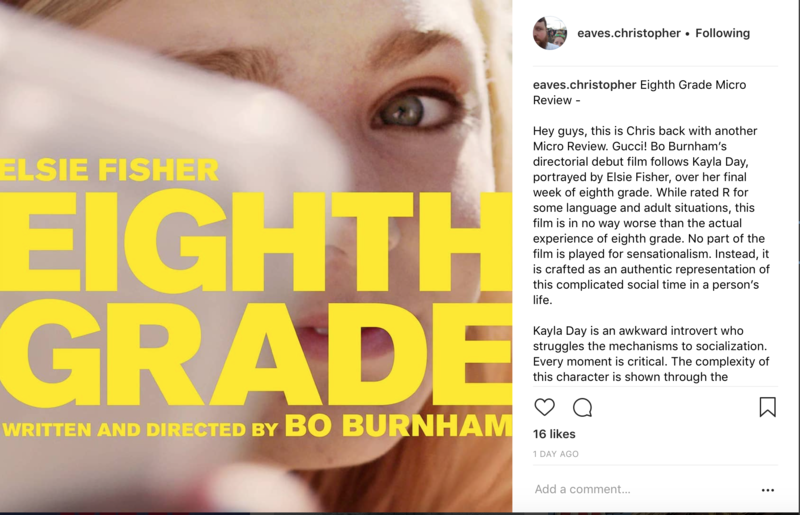 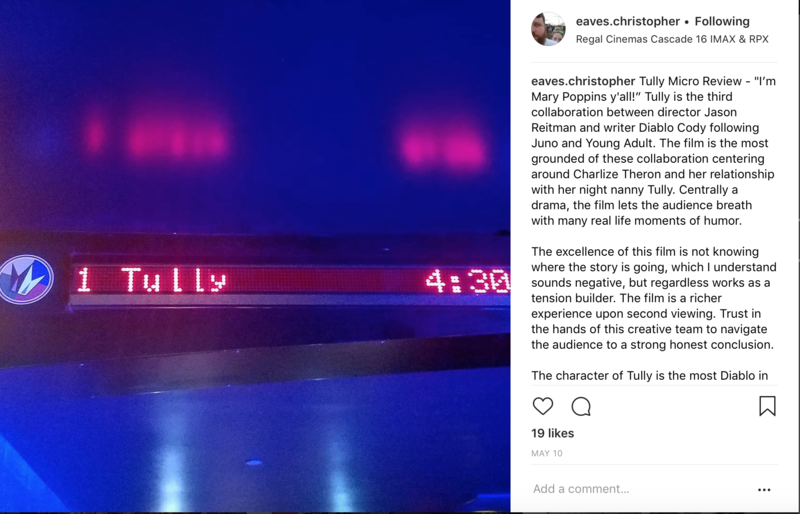 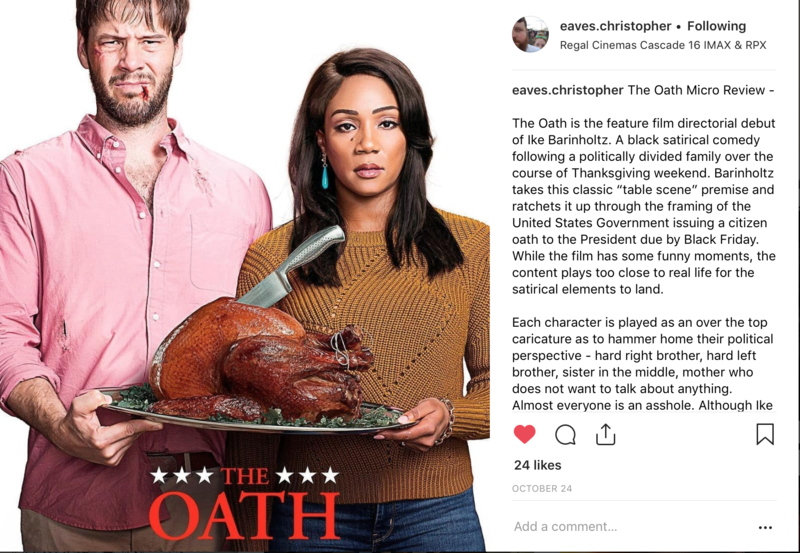 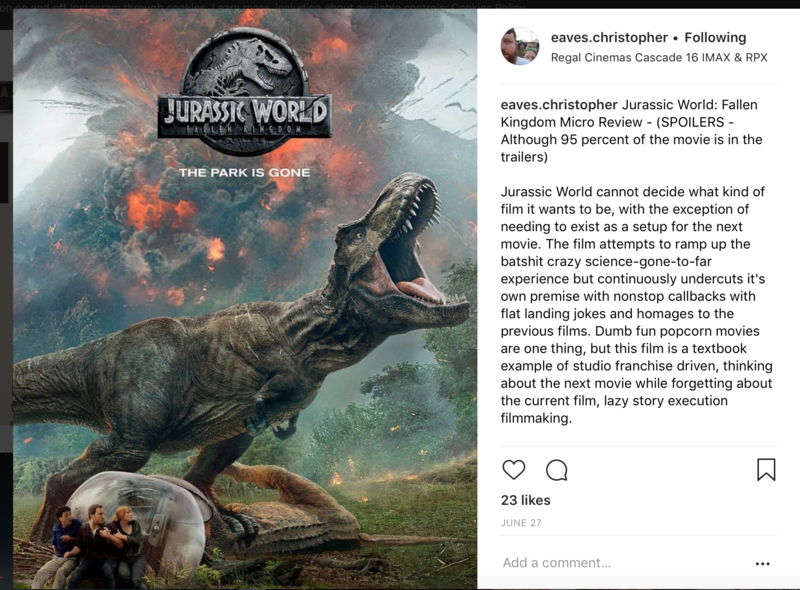 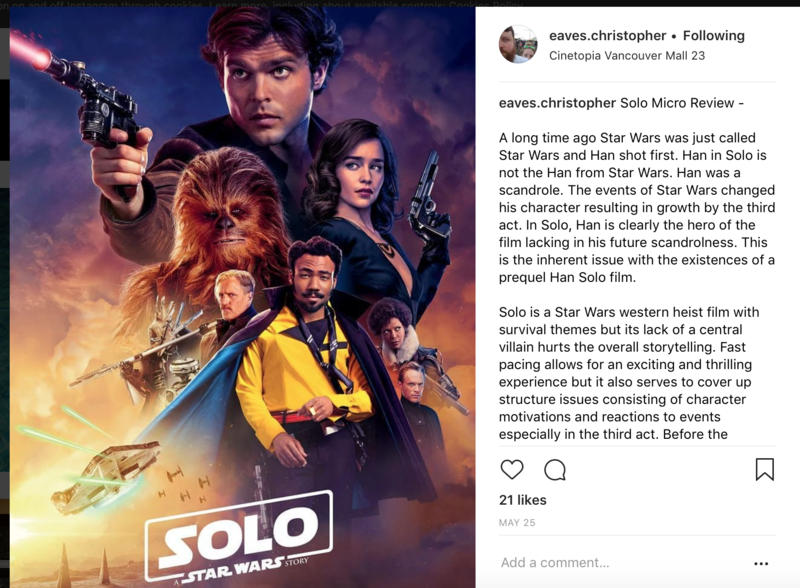 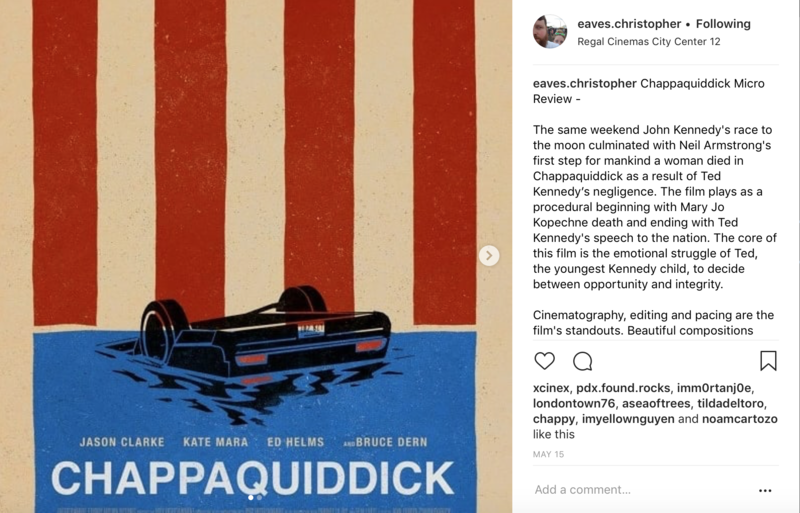 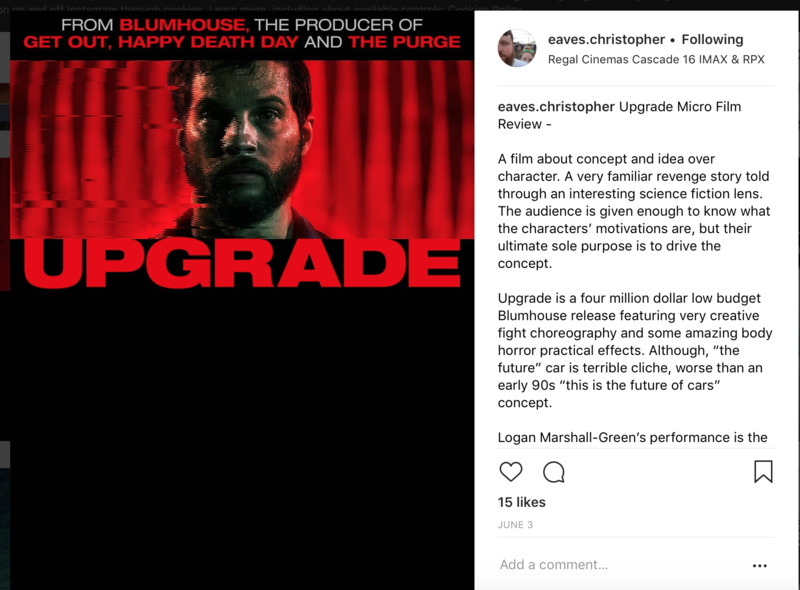 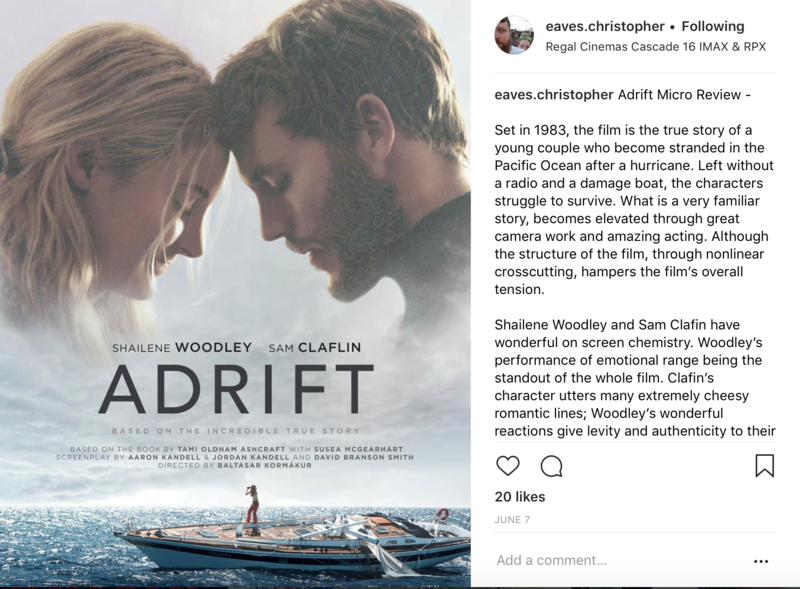 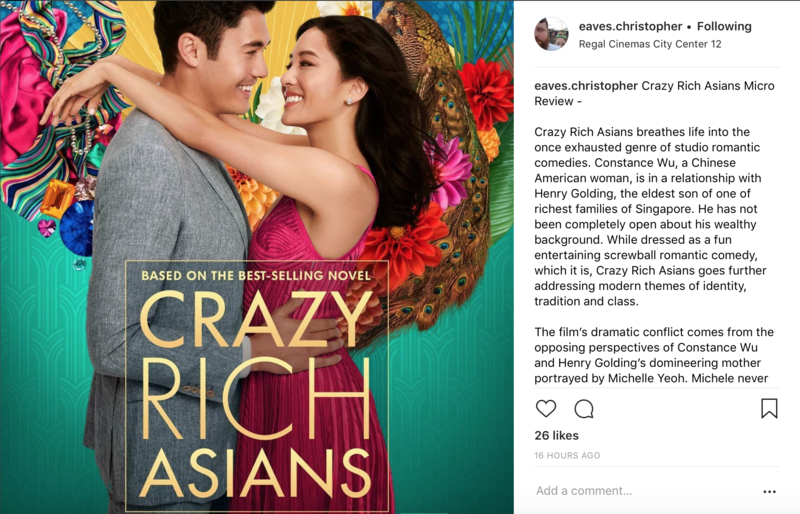 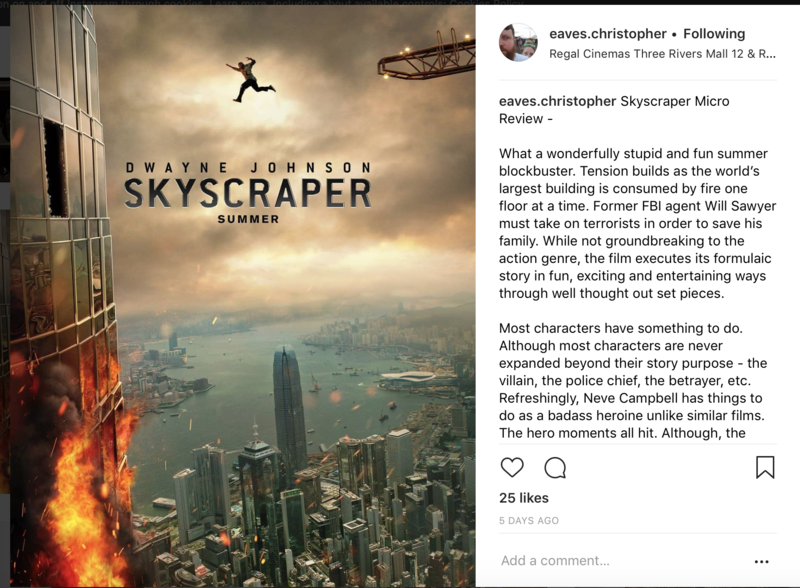 Frequent contributor, current champion of the Oscar Preview challenge we do every year, and dear friend of Trainwreck’d Society, Chris Eaves, has a wonderful segment on his Instagram account called “Micro Reviews” that we are so happy share with you all here through a series of screen shots that we will update as they come along. 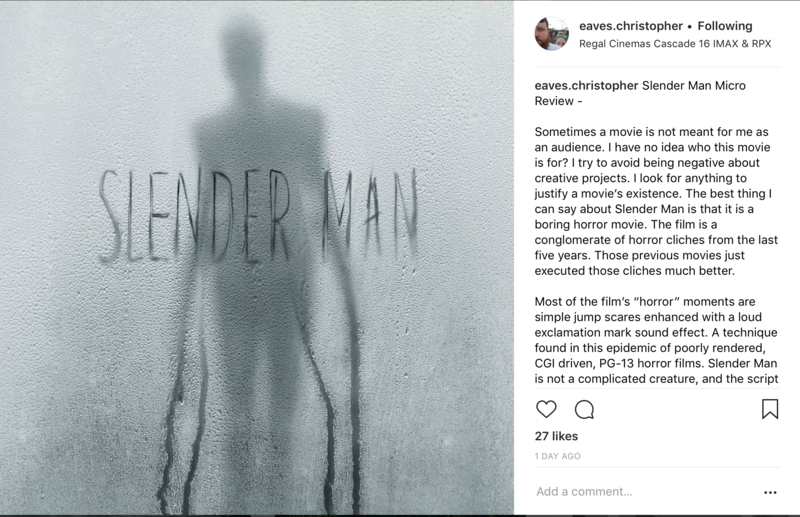 Below you will find some nice little teasers to the reviews themselves. 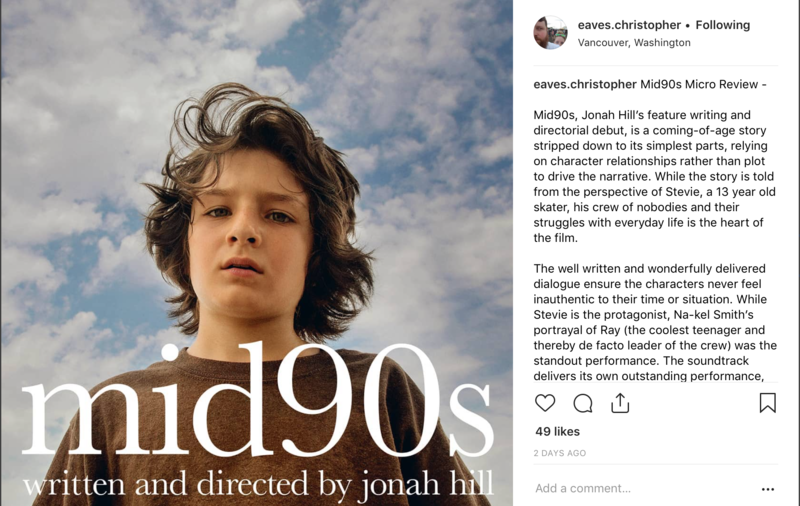 Eaves shines a brilliant light on just about every film he sees. 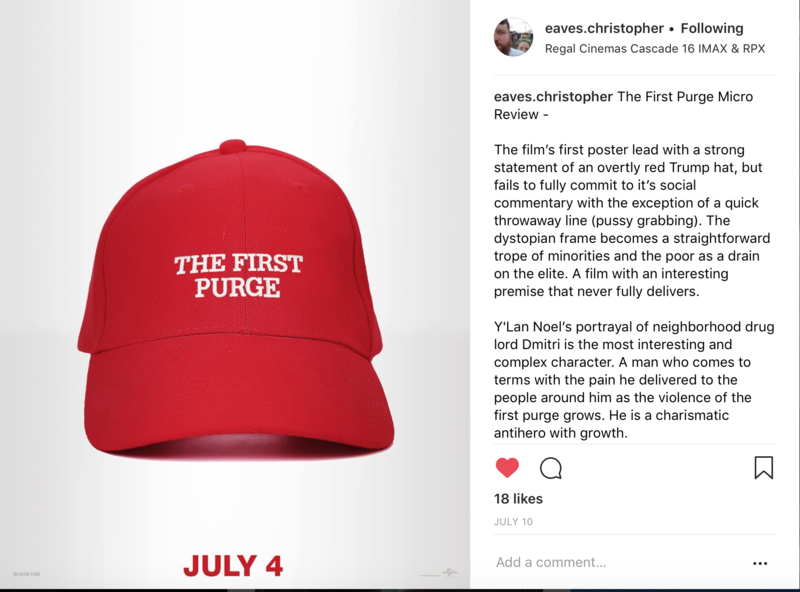 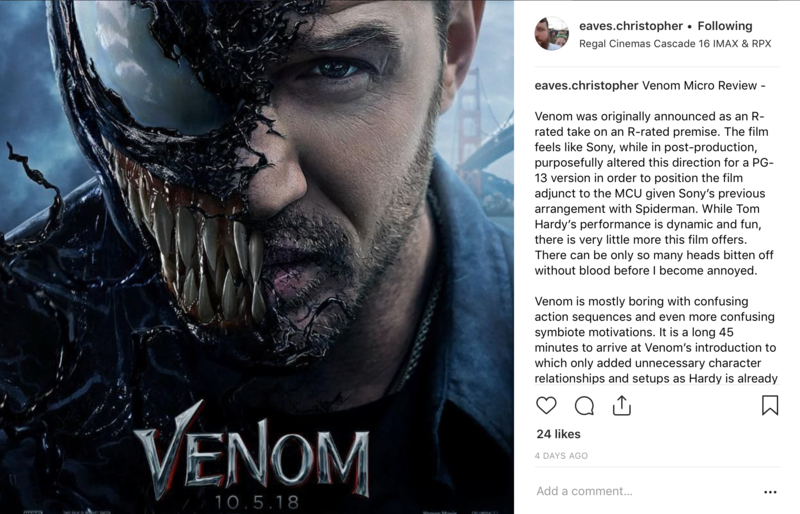 From giant blockbuster superhero films, to indie darling films that are guaranteed to make somebody cry, his take on cinema is the kind of moral judgement that anyone can appreciate. 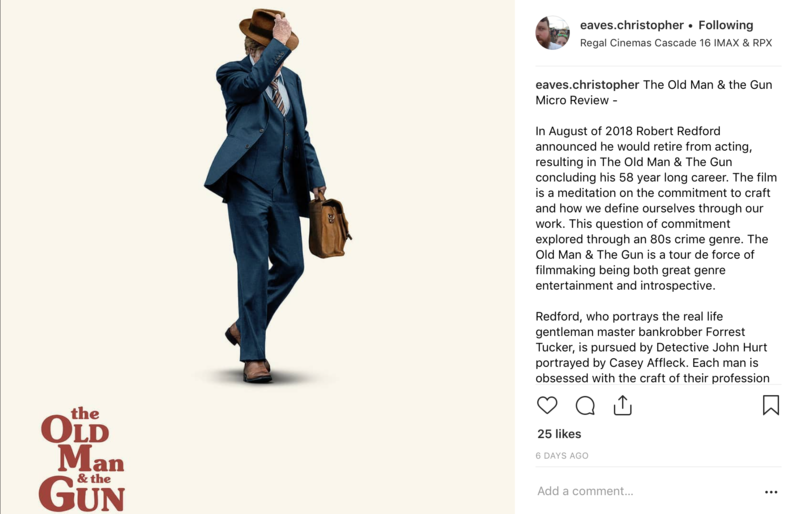 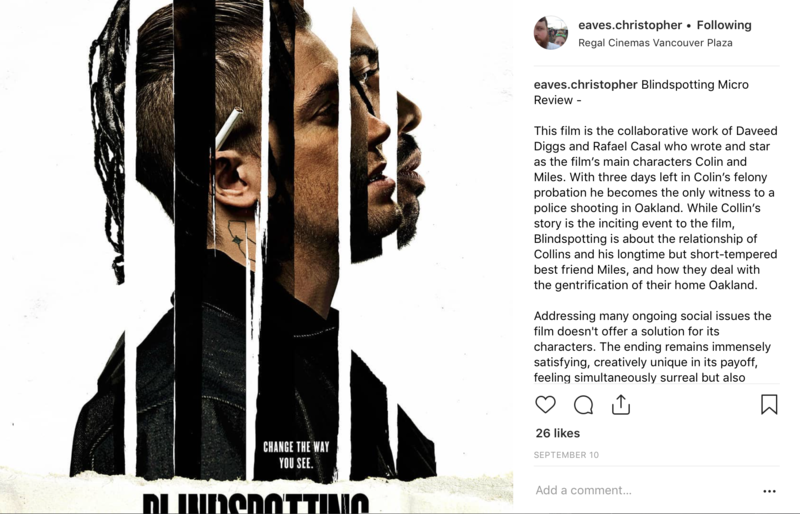 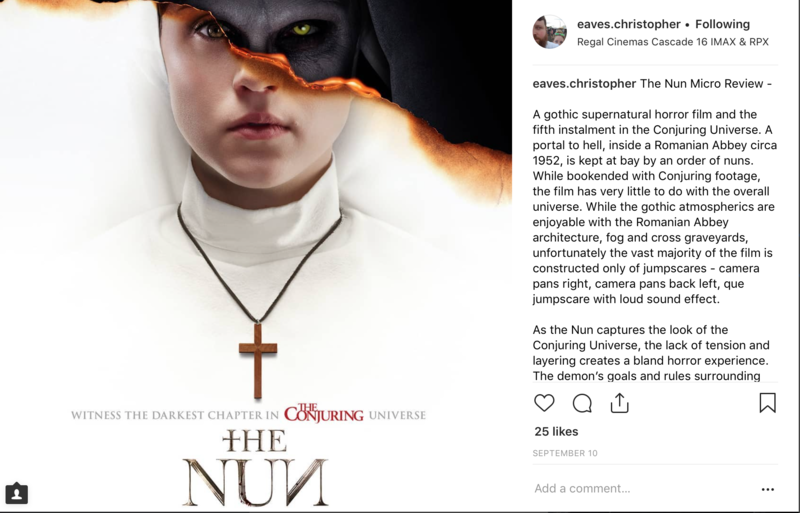 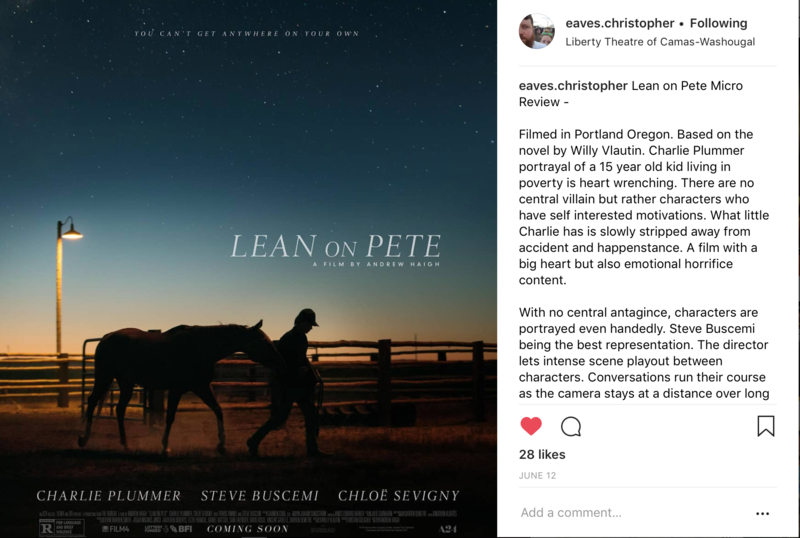 Be sure to learn more form the brilliant mind of Eaves by tuning into The Listening Tree Podcast, in which he provides wonderful banter about film and more. 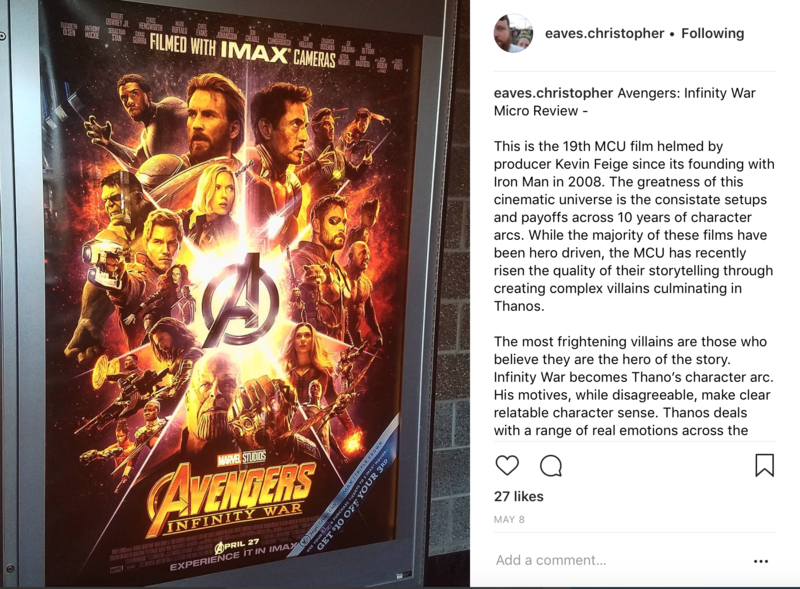 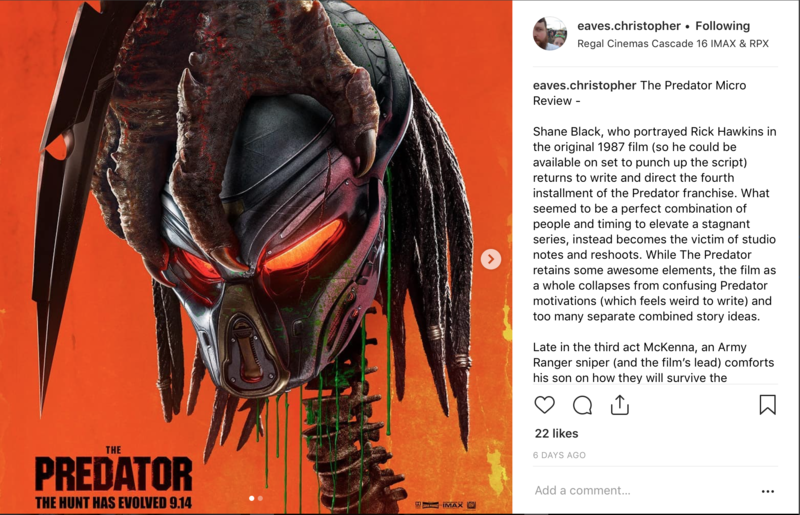 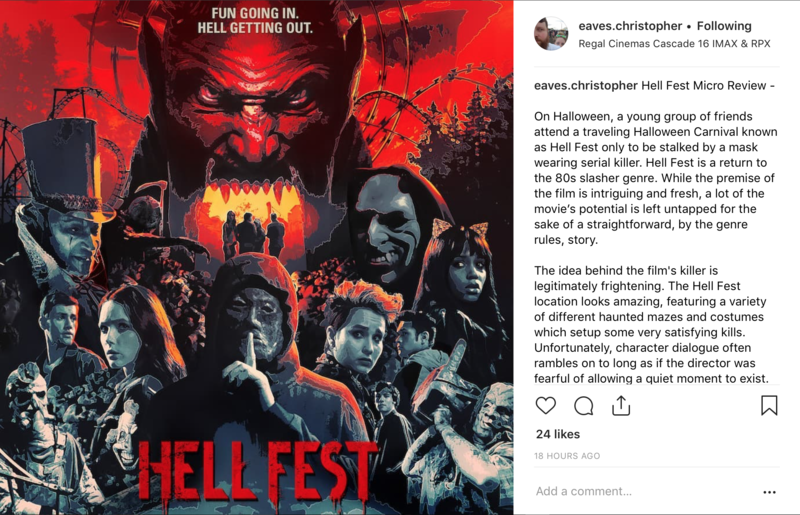 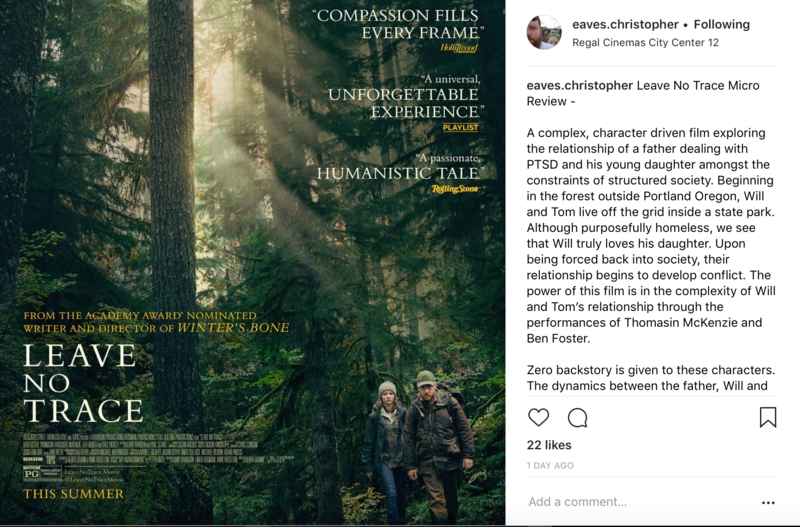 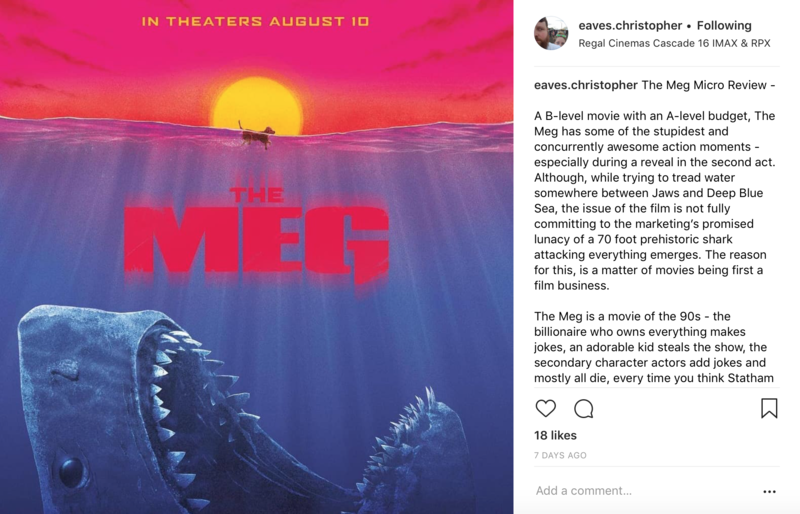 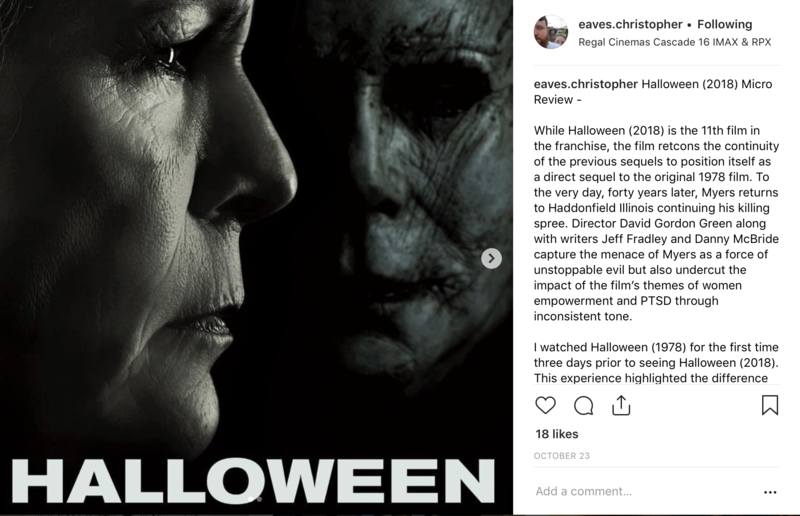 To check out the complete catalog of “Micro Reviews” in its entirety, follow Chris on Instagram at @eaves.christopher .